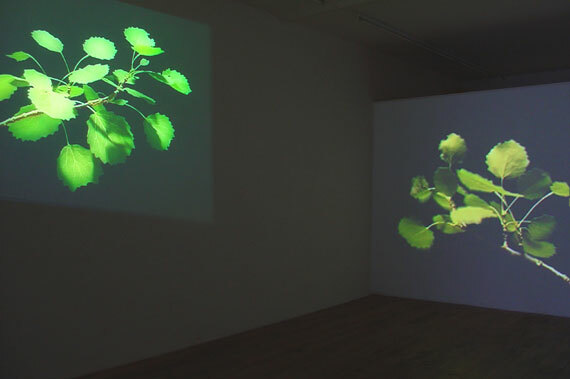 This installation shows a double video projection with sound. You see branches and leaves of the rattle poplar moving in de wind. 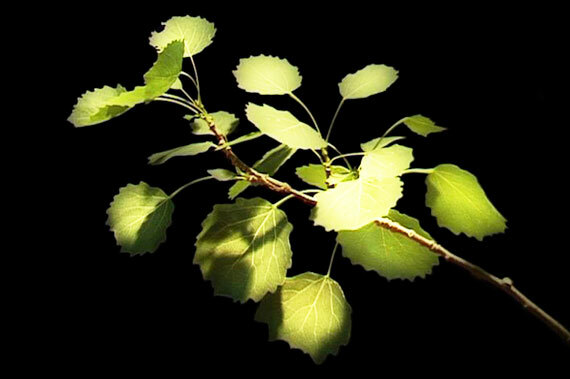 The sound made by the leaves comes en goes forming an acoustic composite. In the olden days it was said the poplar was a speaking tree able to foretell the future.